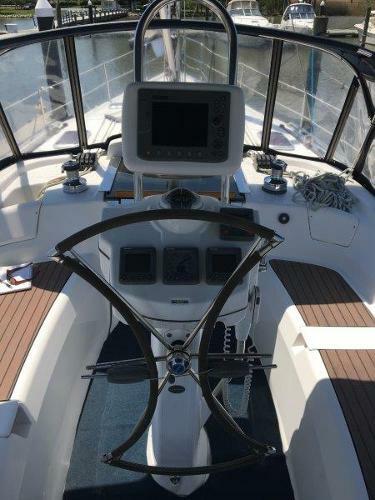 If you have never seen a Hunter 45 Center Cockpit, you are in for a surprise and....this is a beauty! When seeing this boat for the first time, you are struck by just how thoughtfully she was designed. 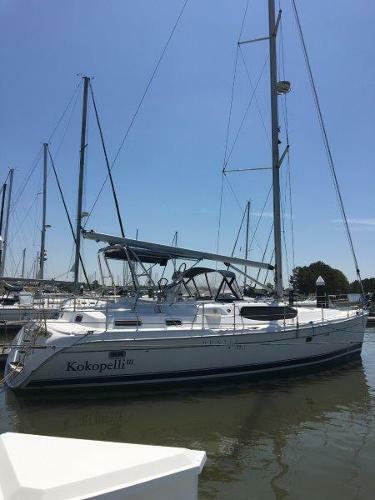 From the hand holds on the wide companionway steps, beautiful joinery, light bright salon with tons of headroom and storage everywhere, to the quality appointments added by her owners, you will be impressed. Everything adds up to a very comfortable boat. She offers....... Two beautiful separate sleeping cabins with ensuite heads. (2) 16K Reverse cycle heat and air units with generator for comfort at the dock or at anchor. Great galley with two freezers and a large under counter refrigerator, loads of counter space and an ingenious dish storage/ dish drainer area that you need to see. 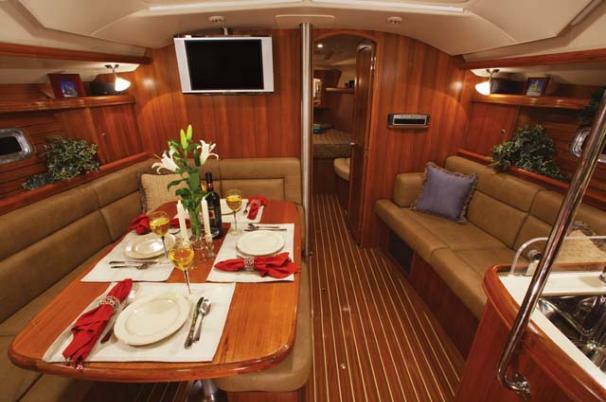 Full Raymarine electronics including a below decks drive autopilot, chartplotter/radar. Easily handled sailplan. Exemplary care! She is in beautiful condition and must be seen!